Senior Citizens Awareness Network of Wilson County Inc.
OLD HICKORY, TN – Narcotic Detectives with the Wilson County Sheriff’s Office and Lebanon Police Department, along with the assistance of the Metro Nashville Police Department, conducted a lengthy investigation on the distribution of heroin and fentanyl by 30 year old Isaiah Richard Gates. On Tuesday evening, agents received information that Gates would be delivering a large amount of heroin and fentanyl to an unknown subject at a local business in the Old Hickory area by utilizing an Uber for transportation. Surveillance was conducted at the location on Lebanon Road in Old Hickory. A black Chrysler arrived with an Uber emblem in the front window around 6pm. Gates was seen exiting the back seat. Detectives attempted to make casual contact with Gates until he recognized law enforcement and began to run. After a short foot pursuit, law enforcement made contact with Gates in the parking lot. Gates ripped open a large bag of powder heroin in an attempt to destroy the evidence. When taking Gates into custody, several agents and Gates were heavily exposed to the heroin. Gates was also in possession of a smaller bag of white powder believed to be fentanyl that remained sealed. Gates was administered Narcan due to his exposure. The Uber driver, Tariku Gezahegn Bulit, was also taken into custody. Wilson County Emergency Management responded to the scene to assess Gates and each law enforcement officer that was exposed and to decontaminate the scene. Agents were able to collect approximately 100 grams of heroin and 8 grams of fentanyl from the scene. Both Gates and Bulit were taken into custody and transported to the Wilson County Jail. Gates is in custody on a $100,000 bond and charged with Possession of Schedule I (Heroin) with Intent for Resale, Possession of Schedule II (Fentanyl) with Intent for Resale, Reckless Endangerment x 5, and Tampering with Evidence. Bulit was booked on a $25,000 bond and charged with Criminal Responsibility by Facilitating a Felony. MT. JULIET, TN – On September 20, 2018, the Wilson County Sheriff’s Office Special Response Team and Lebanon Police Department’s SWAT team obtained a search warrant for 1712 South Mt. Juliet Road to recover possible evidence of crimes associated with vehicle burglaries in Wilson and Davidson Counties. The search warrant also listed a juvenile male who had two active juvenile petitions out of Davidson County for aggravated robberies. Both agencies executed the search warrant and located approximately 15 people inside the residence including the juvenile male that was wanted out of Davidson County. 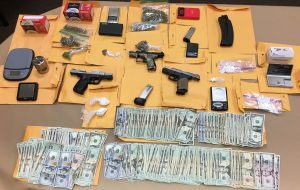 With the assistance of Mt Juliet Police Department, all agencies searched the residence and located numerous types of narcotics including cocaine, crack cocaine, marijuana, and LSD. There were also three firearms discovered including one that was stolen from a home invasion in Rutherford County. The suspects were in possession of large sums of money that was believed to be from drug distribution. The juvenile male was arrested and taken to Davidson County. Five other suspects will be facing numerous drug and firearm charges pending a Wilson County Grand Jury investigation. LEBANON, TN – The Wilson County Sheriff’s Office Criminal Investigations Division (CID) is seeking the public’s assistance in the capture of Melton Gail Tribble (47); who currently has active warrants for Aggravated Burglary, Aggravated Assault, and Parole Violation. Anyone with information on his whereabouts that leads to the successful capture of Tribble could be entitled to a cash reward of up to $500.00. Please call the Wilson County Sheriff’s Office Crime Stoppers at 615-444-5245 with any information that would assist the CID of this incident or any crime, callers can remain anonymous. LEBANON, TN- The Wilson County Sheriff’s Office will be partnering with the Tennessee Highway Safety Office to promote motorcycle safety during the month of May, which is nationally recognized as Motorcycle Safety Awareness Month. Agencies participate by providing information and increasing awareness in their communities about the importance of sharing the road and looking twice for motorcyclists. If you see a motorcycle with a signal on, be careful. Motorcycle signals are often non-canceling. Always ensure that the motorcycle is turning before proceeding. Always allow ample follow distance – three to four seconds – when driving behind a motorcycle. This gives riders more time to maneuver or stop in an emergency. According to preliminary data, there were 2,988 crashes involving a motorcycle statewide last year. Of those crashes, Tennessee experienced 134 motorcycle fatalities. On Friday, drug detecting canines from the Wilson County Sheriff’s Office, Lebanon Police Department and the 18th Judicial Task Force conducted a random search at each of the four high schools in Wilson County. An eighteen year old student from Mt. 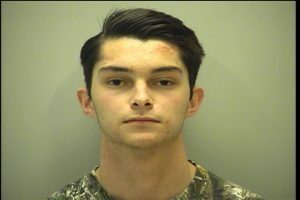 Juliet High School, Jacob J. Kachinko, was arrested after officers discovered approximately a quarter pound of Schedule VI (Marijuana) in the trunk of his vehicle. 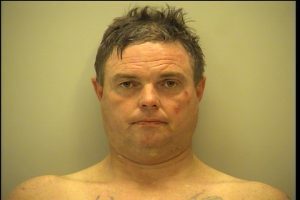 Mr. Kachinko was transported to the Wilson County Jail where he later posted a $2,000.00 Bond for Possession with Intent for Resale. 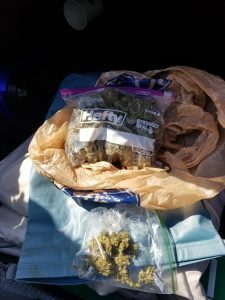 There were also three other juveniles that were cited through Juvenile Court throughout the county on drug related charges. 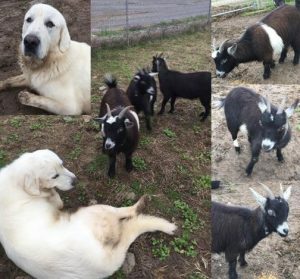 3 pygmy/dwarf type goats accompanied by Great Pyrenees/possibly Pyr mix, FOUND Sunday 4.1.18 in LEBANON on MARTHA-LEEVILLE RD. near POWELL GROVE RD. – off 109 not far from 109/70 interchange/Mt. Juliet line. Appear to be from same property/family, follow each other everywhere. Someone has to be missing them! They are safely in the care of a Hickory Hill Farm foster. If you live in the area, please share with your neighbors. We are worried the owners may not be on Facebook. If owner is not found, they will be available for adoption in 30 days. Proof of ownership required to claim. Email info@hickoryhillfarmtn.org or contact 615-975-7168. Congratulations, Det. Barbee- well deserved! 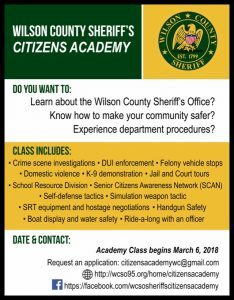 The WCSO Sheriff’s Citizens Academy will be accepting applications from now until March 6 for Class #10. The academy will hold up to 25 citizens who will complete a twelve week course which will start on Tuesday, March 6, and run from 6pm-9pm every Tuesday for the twelve week duration. All applicants must pass a background check. There are no minimum physical requirements. Every citizen that lives or works in Wilson County are welcome! 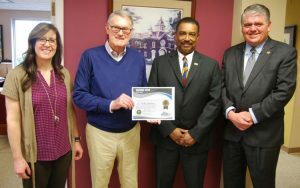 The purpose of the Sheriff’s Citizens Academy is to foster better communications between citizens and deputies through education and cooperation. A well-informed citizen is more likely to share their experience with the community as the opportunity arises. Everyone benefits from enhancing citizens understanding of the role and function of the Sheriff’s office. You can find the application form by picking up a copy from our dispatch center located at the WCSO front entrance and mail them in to: Wilson County Sheriff’s Office, C/O Lt. James Lanier, 105 East High Street, Lebanon, TN 37087 or drop them off at our dispatch. You can also access the fillable PDF application online at http://wcso95.org. If you start noticing our deputies wearing beards, your eyes aren’t deceiving you! No, there’s no shortage of razors at the Sheriff’s Office. Sheriff Robert Bryan has challenged his deputies to grow their beards to raise money for Veterans. We’re celebrating No Shave November by raising money for the Wilson Warriors Organization, a nonprofit organization helping military veterans of Wilson County. 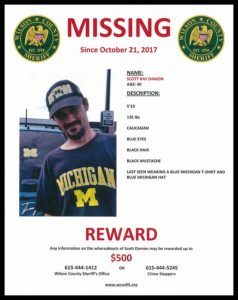 Any information on the whereabouts of Scott Ray Damon may be rewarded up to $500. Please see attached flier for more information.